There are over 250,000 foreclosure filings — default notices, auction sale notices and bank repossessions combined, occuring each and every month. Unfortunately, there are many people that don't know there is help out there for them. Most people will contact their lender, and find they are only being offered a FOREBEARANCE PLAN. Which in most cases, this does not benefit the homeowner. Maybe you are being put off, or they tell you paperwork is missing, or you missed a deadline. This is how "put off" tactics are implemented. However, the lenders do not have enough man power to handle all of the requests to modify loans, so they look for a quick fix. Please be aware that your lender does not want to foreclosure your home! The more foreclosures they endure, the closer they come to shutting their doors. The homeowners usually stop looking for help after speaking with their lender and believe there is nothing left to do, except lose their home. THIS IS NOT TRUE! If you do happen to come across this blog, hopefully by the time your done reading you will feel more informed about this process. There seems to be hundreds of choices when searching for the "right" Loan Modification or Loss Mitigation Company. The thing you need to be aware of, a lot of them are not legit and will not deliver the type of outcome you expect or any at all. Because of this factor and many others, I advise you to obtain a licensed Attorney or Law Firm. Starting a few years back, there was a lot of "bad loans" being made, and predatory lending. This is the #1 reason why so many are struggling with their payments, aside from the bad ecomony and other types of hardships. I am here to tell you BEWARE! Many Loan Modification companies are just trying to get a piece of the "foreclosure pie" and are "scamming" homeowners in distress to feed their own bank account. On the other hand there are a few good companies to choose from who really care about your situation and have "real" legal help which includes Attorneys to mitigate (stop foreclosure) and negotiate with your lender to modify the loan. Modifying your loan means to change the terms of your existing loan. For example: Lower and fix the interest rate, move past due payments to end of loan, and sometimes freeze payments for a while depending on your hardship. All of the above, will result in a lower affordable payment which is what everyone is looking for. Rip Off Report is great also. This is not an official place, but is becoming very popular to consumers who have been ripped off or scammed. Please note: While seaching for the company's credentials, make sure the address, and owner names match up to what you are looking for. You have to remember there are a lot of companies from different states that have the same name but are not affiliated. Are you being asked the right questions? For Example: How much you owe? What is the value of your home? What is your interest rate? When did you purchase your home? What is your hardship? Have you contacted your lender? Does this company "care" about your situation or does it sound like they are more concerned about collecting a fee. Do they listen to you? Provide you with guidance and support? Are they passionate about what they are doing? Are they reading a script? Are they informative? Are they hesitate on providing you with answers? 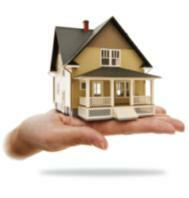 Do they have Licensed Attorneys to mitigate your home, and negotiate with your lenders. Attorneys get top priority and the best loan mods done because of their expertise and their intimidating presence. If they do have Attorneys, you should receive this in writing when reviewing your enrollment package. If you are told you are retaining an Attorney, you should issued a Retainer Agreement. Charges fees anywhere from $4000- $10,000. This is price gouging. If the mortgage payment is extremely high, the fee should be able to be negotiated. Everyone's situation is different and this should be considered when charging a fee. Their #1 priority should be to work with you to keep you in your home. Seem to good to be true? If you are being promised an interest rate, or and exact principle reduction amount, most likely you are just being told what you want to hear. Please note that no one can promise you anything without negotiating with your lender. Is there an approval process? Before you agree to paying any fee at all, make sure your entire file has been reviewed by your Attorney and deemed eligible. Is there some type of money back guarantee? This is very important. If the company you choose, can not provide you with a loan modification, then you should be entitled to getting most your money back. No Excuses! So maybe the questions is not "How to Choose an Honest Loan Modification Company". Maybe it should be How to locate an honest Attorney. We all know honest Attorneys are sometimes are hard to come by as well. As you can see this takes a lot of footwork and many hours to develop. Each Attorney or Law Firm is unique in their own way and offer different services and have variable fees. What I will do is discuss with you one on one about your unique situation. I will then determine your eligibility, and will decide which one of these legit Attorney's will suit your specific needs. Once you are on board with a specific law firm, (which I will help you with) you and I will stay in contact throughout the process if you wish. I do not charge a fee to provide this information to you. I am so fed up with all of the scams, I feel it is my personal duty to stand up for the public and provide this service. I conduct myself based on honesty and ethics. My clients are my #1 priority, and I have nothing to hide nor do I cherry coat your chances. You will get nothing but the truth, and all the information you need to make a decision. If you would like to see if you qualify for a loan modification feel free to contact me. I would like to provide legit, honest help to as many people as possible. If you find this information usefull please leave a comment. This is great information, If only we had more people like you in this world, The world would be a much better place. I will spread the word thanks. I filled out the pre-approval modification form and the spam filter, The results of the completed form then generated but I can not tell what to do from there. Hopefully you received it but there is no way of me telling if you did or not. Second, thank you very much for all of the info you supplied. I could not really tell if you were able to perfrom the modification or not but if youn are I would definately chose you as my rep. You sound honest and caring for the public, you are a breath of fresh air. Hi. I've been reading your blogs and I wonder if you can tell me if you've heard of homereliefnow.org. I am considering hiring them, and they are listed with BB&B and several other companies. I can't find enough about them through searches, and I did not find anything negative, or anything at all, about them on the sites you recommended searching. If you have anything at all, I would appreciate it. I clicked the link to take a look at the website and as I suspected, this is not a Law Firm. I strongly advise you to hire an Attorney or Law Firm to handle your case. I have seen many Loan Mod companies who at first had a good rating with the BBB and are now revoked. You need legal representation. I can help you with finding a Law Firm and they probably charge just about the same. Feel free to contact me directly for advise and guidance. My direct phone number is 407-219-8739. I will be available tomorrow from 10am- 7pm EST. Thanks! I don't not feel qualified to represent myself in dealing with BOA and in fact have gotten nowhere for over a year with the HAMP program although filing three times. not proper debt to income ration, etc. Please send me an email with your contact information. I do have have a Law Firm in mind for you but I have a few questions to ask you. My email is keepyourproperty911@gmail.com. I have been trying to get a loan mod for a year now. The company I had hired to do this went out of business, I had not paid them anything. I am getting nowhere with B of A on my own and I am hoping you could recommend an attorney in Northern California that could help me with this. Thanks, so much, I am finding it harder and harder to trust anyone, there are just too many scams. Looking for honest attorney to handle loan modification. I live in Ft.Lauderdale Florida my phone # 954-410-2928. I have been scamed in past by fake loan modification companies so need honest rep to handle BOA modification.